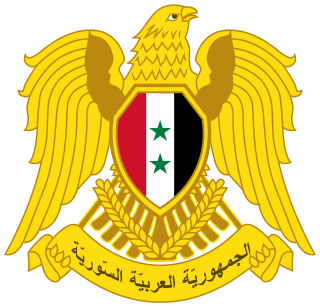 The People's Council (Arabic: مجلس الشعب‎, Majlis al-Sha'ab; French: Assemblée du peuple) is Syria's legislative authority. It has 250 members elected for a four-year term in 15 multi-seat constituencies. There are two main political fronts; the National Progressive Front and Popular Front for Change and Liberation. The 2012 elections, held on 7 May, resulted in a new parliament that, for the first time in four decades, is based on a multi-party system. In 2016 Hadiya Khalaf Abbas, Ph.D., representing Deir Ezzor since 2003, became the first woman elected to be the Speaker. In 2017, Hammouda Sabbagh became the first Orthodox Christian to have held the post. The council meets at least three times a year and in special occasions called by the council's president or the president of the country. The last elections were held on the 13th of April, 2016. The elections saw a recording 11,341 candidates seeking to run in the elections, and over 5 million voters out of 8 million eligible cast their votes. The National Progressive Front won 200 out of 250 seats, 172 of which were for the Ba'ath Party, while 50 Independents held the rest of the seats. ^ "Little known Syrian politician elected parliament speaker". Fox News. 28 September 2017. Retrieved 28 September 2017. ^ "Assad says Syria 'able' to get out of crisis". Al Jazeera. 2012-05-25. Retrieved 2012-06-11. ^ a b "Assad's party wins majority in Syrian election". France 24. 17 April 2016. Retrieved 22 April 2018. Wikimedia Commons has media related to People's Council of Syria. The Grand National Assembly of Turkey, usually referred to simply as the TBMM or Parliament, is the unicameral Turkish legislature. It is the sole body given the legislative prerogatives by the Turkish Constitution. It was founded in Ankara on 23 April 1920 in the midst of the National Campaign. The parliament was fundamental in the efforts of Mareşal Mustafa Kemal Atatürk, 1st President of the Republic of Turkey, and his colleagues to found a new state out of the remnants of the Ottoman Empire. The Council of Representatives is the unicameral legislature of the Republic of Iraq. It is currently composed of 329 seats and meets in Baghdad inside the Green Zone. Suleiman Kabalan Frangieh, last name also spelled Frangié, Franjieh, or Franjiyeh, was a Lebanese Maronite politician, President of Lebanon from 1970 to 1976. The Parliament of Albania or Kuvendi is the unicameral representative body of the citizens of the Republic of Albania; it is Albania's legislature. The Parliament is composed of not less than 140 members elected to a four-year term on the basis of direct, universal, periodic and equal suffrage by secret ballot. The Parliament is presided over by a Speaker of the Parliament, who is assisted by at least one deputy speaker. The electoral system is based on party-list proportional representation. There are 12 multi-seat constituencies, corresponding to the country's administrative divisions. Maamun al-Kuzbari was a Syrian literary personality, politician and acting head of state from a prominent Damascus family. The Federal Parliament of Nepal is the federal and supreme legislative body of Nepal. It is a bicameral federal legislature that consists of the National Assembly as upper house and the House of Representatives, as lower house. Najdat Ismail Anzour is a Syrian television director of Circassian origins. The Assembly of the Representatives of the People is Tunisia's legislative branch of government. The unicameral Assembly replaced the Constituent Assembly and was elected on 26 October 2014. The legislature consists of 217 seats. Before the 2011 revolution, Tunisia's parliament was formerly bicameral and consisted of an upper chamber called the Chamber of Advisors and a lower chamber called the Chamber of Deputies. Notably, 68 of the chamber's members are women--the highest proportion of female representatives in the Arab world. Parliamentary elections were held in Syria to elect the People's Council on 13 April 2016. Syria's parliamentary elections occur every four years, with the last in 2012, while presidential elections are done every seven years, with the last in 2014. The current parliamentary term ends in 2020, which is consequently the planned date for the next parliamentary election. Hadiya Khalaf Abbas is a Syrian politician who served as the Speaker of the People's Council of Syria from June 2016 to July 2017. She is the only woman to have held the post. 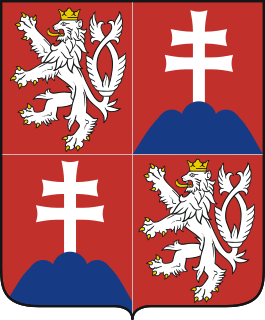 In Czechoslovakia the first parliamentary elections to the National Assembly were held in 1920, two years after the country came into existence. They followed the adoption of the 1920 constitution. Prior to the elections, a legislature had been formed under the name Revolutionary National Assembly, composed of the Czech deputies elected in 1911 in Cisleithania, Slovak deputies elected in Hungary in 1910 and other co-opted deputies. Hammouda Youssef Sabbagh is a Syrian politician who has been the Speaker of the People's Council of Syria since September 2017. He is the first Syriac Orthodox Christian to have held the post, and overall the second Christian to hold that post since Fares al-Khoury.